A former Congress MLA wants to start a new revolution in the national capital in order to "fight RSS ideology". His mascot of choice- the much hated Mughal emperor Aurangzeb. Remember this same emperor was in the news recently, thanks to Aurangzeb Road, situated in Lutyens' Delhi being renamed after APJ Abdul Kalam. 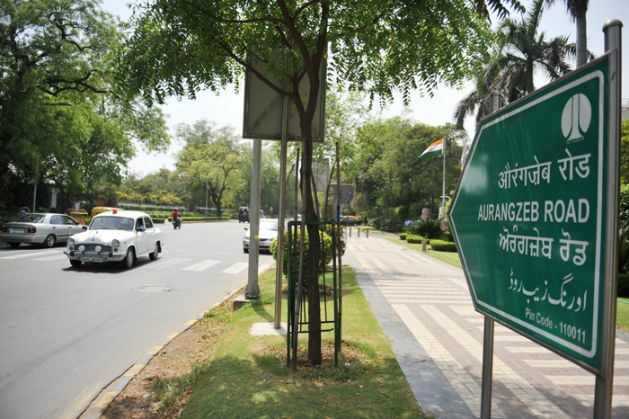 According to the Hindustan Times, Congress MLA Asif Mohammad Khan, protested the move by putting up 10 boards across the stretch leading to Kalindi Kunj, 'naming' it Aurangzeb road. He also plans to hold a ceremony on 4 September to launch his formal protest against the renaming by the government. His target now is to get 100 roads named after Aurangzeb. Along with his supporters, he also plans to burn effigies of PM Narendra Modi and Delhi CM Arvind Kejriwal, who had congratulated the NDMC for renaming the road after India's Missile Man. However, the former MLA is not a fan of Aurangzeb. In his interview to Hindustan Times, Asif said the only reason he wants to start this campaign is to target the RSS. "Name is not the primary issue. The fight is about ideology. The RSS can't decide who is a patriot and who is a traitor. Aurangzeb wasn't the ideal emperor and we are not saying that he is a hero. But why are we removing one Muslim name and replacing it with other. It seems like a clear message to one community- we will do whatever we want in this country."